* Casters installed from factory. * White coated aluminum interior. 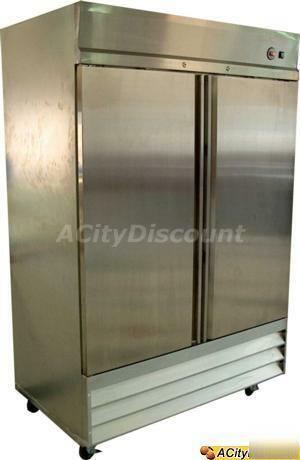 * Stainless steel exterior doors and upper housing. * Gray coated steel exterior sides. * Three white epoxy coated shelves per section. * 10ft cord and plug attached. * Automatic hot gas condensate removal.